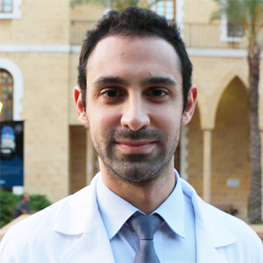 Dr. Helou is an American-Lebanese physician who graduated from the University of Texas at Austin in Microbiology. He then pursued his medical degree at the American University of Beirut where he specialized in Obstetrics and Gynecology. His enthusiasm for cosmetic gynecology grew especially after attending the ESAG First World Congress in Rome. Following his graduation he completed his training in reproductive endocrinology and IVF at IVF Michigan in the United States, and went on to complete his training in surgical and non-invasive aesthetic gynecology in San Diego California. Dr. Helou returned to Lebanon in 2017 and launched the first fully equipped center dedicated to surgical and non-surgical aesthetic gynecology and rejuvenation treatments in the country.